This is a minecraft mod to add realistically shaped veins of ore to your world. Useful for custom maps, modpacks, or just a different survival experience. Everything is fully configurable via json, meaning you can have ore veins of whatever type of shape or size you want. Ore Veins can use blocks from any mod: The default generation is just intended as an example. If you want to use this mod with other ore generation mods / mods that add ore, my recommendation is to turn off the other mod's world generation, and then configure Ore Veins in the json to handle the other ores. Ore Veins was also built with cascading world gen lag in mind, and this mod will not generate any additional chunks, no matter how large the ore veins are. Ore Veins will find any files that are placed in that folder. It will not look into subfolders, so you can use those as simple ways to disable files for testing. For information on how to configure Ore Veins, see the Readme on Github here. If you want any additional configuration options or features, feel free to submit an issue on the issue tracker above. I really like the idea behind this mod, but unfortunately i dont get it how configure it properly..
Could someone give his decent configured ore_veins.json file? Thanks for your help to my latest questions. I really like the mod and how it generates the ores. I recently came to json files with Python and I really like them, they are pretty handy. I would like to make a suggestion : what if it could be possible to set a relative level instead of a min max level? This would make it possible to generate ores relative to the terrain. Clay for instance may spawn always 5 blocks below current surface. No matter if you are on a hill or in a valley. Like the mod Mineralogy. If the relative height is out of range, an ore may not spawn. This allows the placement of special ores or deposits below high mountains, because only there the range of the terrain is high enough to allow ores with high relative levels. What do you think? I have one question: Is it possible to retrogen ores of this mod so generate those veins in already existing chunks? It does not work on my side, so I assume that it is not possible? What if I want to trigger ore generation of "Realistic Ore Veins", that would be very helpful. EDIT: I added a block of the mod conquest, but if I teleport to the position of /findveins all 2 I am in a cave below the surface. It seams like it is not generated. I read in the comments that the findveins can return position that were not generated, okay, but it seems to me that if the chance to generate a vein missed, that the ore is replaced with air. Maybe this was just a fluke where cave generator happened at the same position as the vein generator..
Retrogen is not currently a feature. Findveins will return all potential vein positions. A potential position may or may not contain a vein - this can be for various reasons i.e. the rock wasn't the right type, the biome wasn't valid, the height was out of range, etc. If this happens, the vein does not generate (It doesn't "replace the ore with air"). Thank you for clarification. 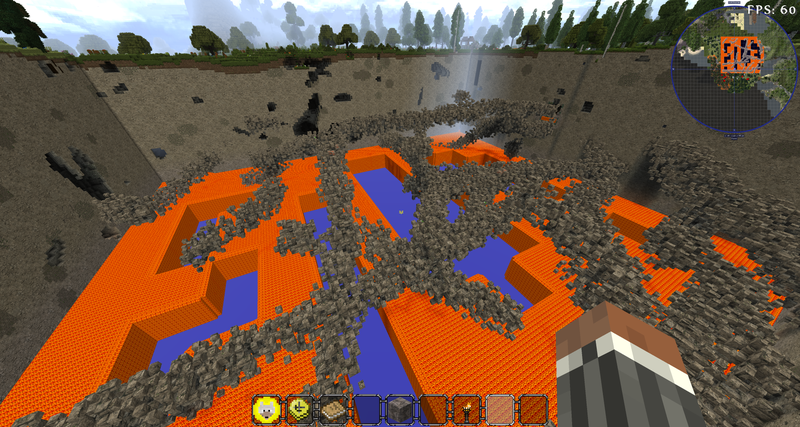 I changed the config to spawn in air and delete the whole terrain to have a huge hole for testing. Thanks to your answer, I now know that I have to pay more attention to the blocks. Is there any recommended config to take all the vanilla blocks into account that could be under the surface? I mean if I have a large Diorite deposite, wouldn't that prevent the vein from spawning if I set "stone": "minecraft:stone"? So do I need to take all these blocks into account, because the setup looks very good if I do "stone": "minecraft:air" while having all blocks removed..
i got an idea. What would be if you could not only check Y, but also X+Z. so you can make late game stuff in further away areas. With that you need 4 ore setups for one ore like 5.000 blocks away from sapwn. Hey thanks for this great mod. I understand how you generate the ore veins. And I've seen you can disable the ores in the ores config and only just in clear name, but i cant figure out how to disable the spawn of mod ores with the ore veins config file. Is that even possible? or do i need to disable all mod ores in the specific mod config? If other mods are adding their own world generation, you have to overwrite that via their own config settings. i've read the readme so far, but i can't figure out how to put mod blocks in. If i could use ids like "minecraft:block_id" then it would be easy, but in the readme that is not declared. Or do you know a way for a noob liek me to find the right "minecraft:block_name" ? You can use ids like "minecraft:block_id", or respectively "modid:mod_block_id". A good way to find those ids is to press F3 + H (for advanced tooltips, which will show the registry name of blocks under the item), or just F3, and when you are looking at the block it should say "looking at: minecraft:grass" or something similar. Relevant section of readme here. biomes (Default: all) Whitelist of biome names or biome tags for a biome to spawn in. Must be a list of strings. For info on possible tags see the Forge Biome Dictionary. 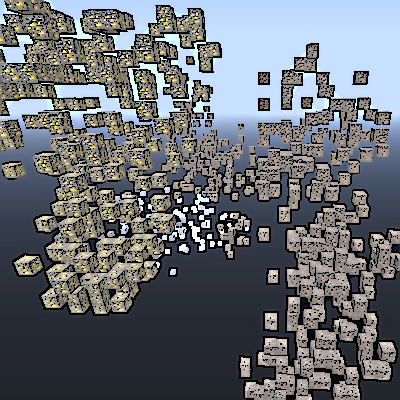 dimensions (Default: 0) Whitelist of dimension ids that the ore can spawn in. Must be a list of integers. Was all not working and the desription just said list of strings. Here would have been an example great and saved a lot of time. I tryed the same syntax with "dimension/s" instead of "biome/s". want to use it on sandstone types from other biomes. please update the description and/or tell me how to solve that problems. None of those are a JSON list of strings. Example. Same syntax for dimensions, except an array of integers. You still need square brackets with one entry. Yes you can add more than one stone if you make it a list of block entries. In addition, you need to be precise with syntax - "Block" is not the same as "block", "biome" is not the same as "biomes" etc. no errors in the log file so far. So, i have a question, do you have to add all the ores from mods to the list manually, or does it detect them automatically? I am new at this and just want to figure out if i have to search through my mods and add them or not. Nothing is done automatically - all ore vein configuration and customization is done via json. Absolutely brilliant. Thank you very much. Is there anything I could do to support further development? definitely cool! I've been trying to make an immersive medieval world and this is just the thing! Its odd to think its a realistic world when you have to go searching for endless veins of ore and they hardly last more than a second each. with this it can be like a real mine set-up! i could see it being used for western gold mines as well! Great mod. I can't find Forge's biome dictionary, though, a link would be appreciated.